I Know I Know. Don’t Freak Out. You’re in the right place. This is still the blog about fibro, pills, humor and attempted awesomeness. I gave the blog a little makeover and I’ve been putting it off for a while now, but the time has come my people. First, I shortened the address from 25pillsday.wordpress.com to just 25pillsaday.com so we can all breathe easier knowing we have 9 less characters to type. Also as someone who’s 5.3 feet proud, I always argue that shorter is better. Secondly, all the crap that used to be at the bottom of the page is now easily accessible at the top. See? Right over there. >>>>>>>>> And that old picture of all those drugs that were the colors of library furniture have been replaced by bright neon cascading pills in the background. It’s all so magical. It’s funny that I would even consider so heavily the design or lack thereof of something that makes me no money and is in most people’s eyes just a hobby. 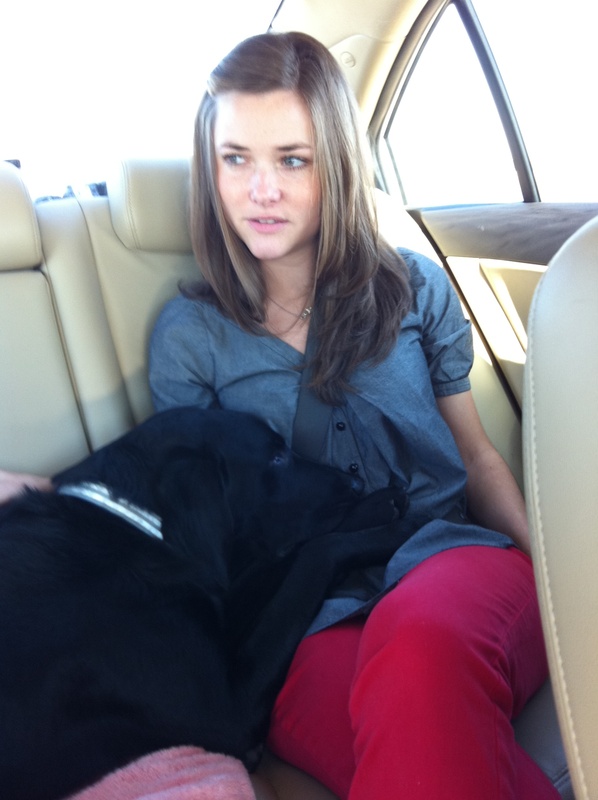 But truthfully, it’s my baby. I care a lot about it. And in recent nights I’ve woken up like Wait, should I put the links on THE LEFT SIDE?? Then I’m like OK there are wars going on and the location of links and font color is not so big a deal. I just needed to pull the trigger. So bang. I’m also reminded of the time I spent an hour picking out a dog collar for Monty and I guess it makes sense I’d take so much time with this. If you don’t like it, just give it a few days. If you still don’t like it, feel free to email me with only these words: YOU BLEW IT! I’ll know then what I’ve done. There will be some new additions to the blog but I thought I’d ease into those slowly. We’ll start just with cosmetics. What else? I’ve spent the last two weeks in California at my sister and brother-in-law’s house in Orange County, California. (Side note: I recently realized my life is whole lot like Rob Kardashians, and that makes me have quiet moments of extreme discomfort.) It’s funny, because both my sister Amelie and my brother-in-law Keegan work full-time jobs, like most normal people. So in the morning they’re getting ready for work and I’m laying on the couch lifeless, half conscious. Sometimes I don’t even wake up to them scrambling around because I think my sleep schedule is so incredibly screwy that I’m in my REM cycle at 8:30 a.m., but that’s something different altogether. Last week Amelie was putting the final touches to her work attire in the bedroom and Keegan was getting ready to walk out the door. I was fumbling through pills on the couch. Before he walked out Keegan asked “Are you sure you don’t want me to leave the car here for you? Like are you going to get restless?” Amelie and I answered in a monotone voice in unison: “No.” “You’re not going to get bored?” Again, from both of us. “No.” Then we kind of all laughed, maybe for different reasons, and the functioning people went to work and I opened my book. I am reading two books. I must admit, after I finished reading Freedom I felt like there was this new hole where something solid used to be. The way it feels after you lose a tooth. Then when I was in New York, my brother told me Strong Motion written also by Franzen competed heavily with Freedom so I brought it with me and have been enjoying that one too. It’s written in true Franzenian form and I once again feel like I’m getting a literary/science education just by reading the work, so it’s fun. But I don’t know that anything can top Freedom. OK I’ll stop talking about that now. Except wait I have one more thing. 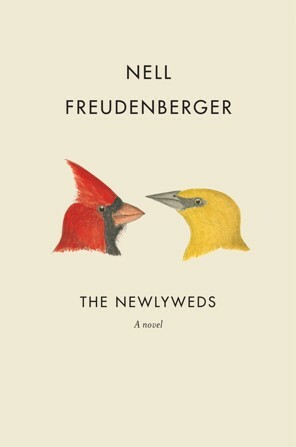 On NPR people with cool voices were all telling Jonathan Franzen he needs to keep an eye on Nell Freudenberger and there was all this jabber about the book The Newlyweds and so I decided to give it a try. So far it’s really good. She isn’t as inventive with the prose as he is but her writing is clean and the storyline has me going; a mail order bride from Bangladesh marries a 30 something engineer dude in upstate New York and there are hints of secrets and controversy and all the good stuff that makes good books good. The other book that I just finished is The Seat of the Soul by Gary Zukav and it was really, really incredible. Not as dense as A New Earth but just as enlightening and really reassuring, especially if you fear death. And for a while I think I became a little too obsessed with this idea that I was going to die. In the sense that I would actually start to wonder, maybe I just won’t die. Like maybe I’m exempt? But duh, I’m not. And it’s cool, because he says all this stuff that makes so much sense and I basically underlined the entire book. I feel like I’ll just keep it at my bedside forever now. Until I..you know, die. OK, that’s all the housekeeping for today. Or should I say book-keeping. Get it? Health-wise I’ve been managing pretty well. This morning was my first migraine I’ve had since leaving NYC two weeks ago. That’s a long time for me! Good stuff. Maybe I just need to be by the ocean for the rest of my life. California is awesome, but weird. I’ll talk about that next time. Cliffhanger!! Health, Happiness, and Give It a Few Days. Maybe, like the house and the car, this will grow on me too. First I prefer this look to the old one. Onwards and upwards. Also I liked Freedom but I am still halfway through the Corrections…I’m unmotivated to finish it. I’m undecided about Mr Franzen. I think his skills are a bit over hyped but he is still enjoyable. Dude, I started the Corrections also but I was a bit depressed and the first 80 pages were bringing me down so I had to stop it. But I’ve heard it lightens up a little. May try again. Awesome. I lived in Orange County for 4 yrs for school. Beautiful place, so expensive though! (for a broke college student like me)– and now even more broke since I’m unemployed. I’m glad you had a great time :) Wait, are you still in California? Hey lady; been reading you for a few months, and really enjoying it. I love these book recommendations — how about adding a books-I-love or “bookshelf” page? I’m pretty sure a) I would dig your reading list and b) I’m not the only one. Awesome idea. I think I will add a book recommendation page which will also act as a virtual book club space. Are you into it?! Oooh, virtual book club?? Never heard of such a thing, but I’d sure give it a try. Books books books — mm. Have you read any of Joan Didion’s latest books? Her book The Year of Magical Thinking was amazing…it’s an autobiographical account of the year of grief she went through after the sudden death of her husband. From what you’ve described about your taste in books, I really recommend it! Read the Change is an international network of readers who have formed a giving circle. Our goal is to financially support organizations that are out there making needed changes in our world. Please feel free to peruse our bylaws for Read the Change. 2. Every 2 months, a “Read” and corresponding “Change” are selected for the group to discuss. (Read=book, Change=non-profit) The group rates the book. 3. At the end of the year, the Read with the highest rating is acknowledged and the pledges go to the Change it represents. Each donor is on their honor to make the donation. Here’s the website: http://www.readthechange.org. If you want any info, let me know and I can try to answer anything. Happy reading (and writing)! Love the new colors and have no problem with the font. I could never get into Frazen. I tried with The Corrections, but it didn’t grab me. Also, Frazen is fairly douchey in interviews. Interesting. The Corrections didn’t grab me like Freedom, but I just find his characters crazily visceral. I feel like they all have to be real people. If Mary has selectec this font; well, there must be a very creative reason behind it. Health, happiness, new font. Gave it a few days and am now impressed by the new font and lay out in general. That’s more like it:) Knowing California through your writing has been fun. Thanks for being you. it’s a great place to get book recommendations, even though I can tell you are not lacking in those. super cool! thank you for that. If you have any recommedations for the next book I’d love to hear. I always recommend Geek Love, by Katherine Dunn. It is by far the weirdest book I have ever read (not that I have read a lot of weird books). My tastes run the gambit, sci-fi, who done its, historical, classics, some new age, a handful of trashy romance (who hasn’t? ), urban fantasy, mythology…you get the idea. Anyway, I read Geek Love about 8 years ago, it has romance, and intrigue, a Carni family, some religion, and mad mad science going on…when I would finish a chapter I would think “it can’t get any weirder than this”, and then it did…right to the last page. like the new threads. oh, and monty is an insaniac. fyi! He takes after his grandpa! I was able to enlarge it. Better? Much better by the way– you’re my hero. im 25 living with rheumatoid arthritis and lupus (rhupus syndrome). Hang in there. We’ll get there.